Brion sounds off on the devil, the Union, Manchester United, and the difference between them and their young stars, with a good dose of beer thrown in. 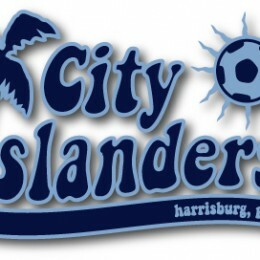 The City Islanders look forward to a league match against Charleston Battery and a friendly with the Union after being knocked out of the US Open Cup. Absent three players who were with the US team, the Independence lost 2-0 on Saturday to FC Gold Pride, who were missing four players to the US team. 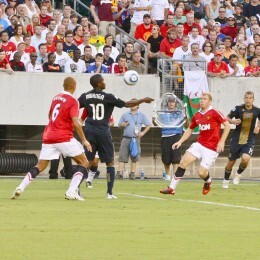 On Saturday the US team beat Sweden 3-0 in a warm-up match ahead of the CONCACAF qualifiers for the 2011 World Cup. 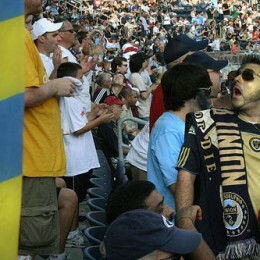 It was hot inside PPL Park during the Union’s victory over Toronto on Saturday. Things got hotter in the stands after Toronto equalized in the 81st minute. Matters came to a boil in the exit tunnel of one section after the game. 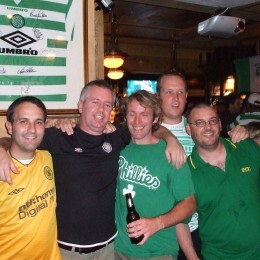 Celtic fans turned out at Fado on Tuesday night to greet players and coaches from the famed Scottish team, which is in town to face Philadelphia Union on Wednesday night. 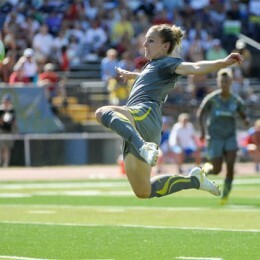 Independence forward Amy Rodriguez scored the lone US goal in Tuesday night’s draw with Sweden. 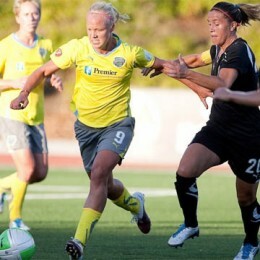 Philadelphia’s Lori Lindsey started for the US and Caroline Seger captained the Sweden side. The City Islanders have seen an end to the run of bad luck that marked the beginning of the season and currently sit in fourth place in the league. The sole remaining USL team in the US Open Cup, they recently dispatched New York Red Bulls in extra time and will face DC United on July 21st. On July 27th they host the Union in a friendly. Here’s a look at their recent form with an eye on some players to watch. 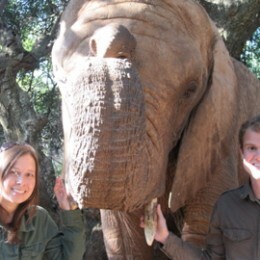 PSP’s Ryan Pine made the trip from Philly to South Africa for the World Cup. Now he’s back to share a story full of ostriches, electrocutions, great wine, mass hysteria, and dreaming the impossible dream. 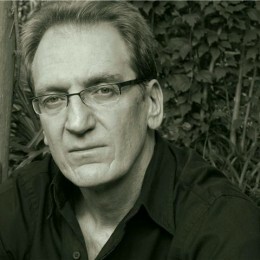 South African writer Ivan Vladislavic talks with PSP about the ground level impact of the World Cup on the country’s people and how building soccer stadiums may or may not impact the lives of South Africans, with a few parallels to Philadelphia Union’s new digs in Chester. Rodriguez nets her seventh goal of the season. But Philly can’t hold off Boston who get their first win in nearly three months, only their second of the season.